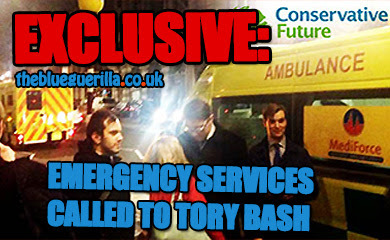 TheBlueGuerilla: Tory Youth members fear #OllyShambles sequel. Tory Oliver Cooper (right) at event next to former UKIP Youth Council Membership Chairman (left). Questions continue to be raised over Oliver Cooper's potential bid to become Conservative Future (CF) Chairman. Concerns about Oliver Coopers links with UKIP as well as accusations of a 'rogue' National Chairman bid have come to the fore. One CF member told tbg - "Cooper is telling CF'ers that he regularly criticises UKIP, when in fact behind the scenes he’s cosying up to them. Most of his inner circle from the Liberty League have already jumped ship, so you have to ask why he hasn’t followed them over there yet?" Another member of the Tory Youth wing said - "We shouldn’t forget that last year Young Independence managed to get Alexandra Swann the Deputy of CF to defect. "Would it be rude to suggest they are plotting to get the next CF Chairman to do the same? If they succeed then we are finished. We have to act now to avoid #OllyShambles the sequel." Scrutiny over Cooper's loyalties will probably go on for as long as the CF election campaign rumbles to its conclusion in March and continue to be used as a tool by his opponents. Cooper himself laughs off such allegations and proudly shines light upon his twitter debating skills against UKIP, and amongst others. No way in hell will Cooper defect. He's always been very clear about that to his UKIP friends. What a mess this guy is! We cannot let this happen, the risk of the National CF Chairman defecting to UKIP as the National Chairman is just too high! TBG- obviously Coopers going to defect to UKIP as his best mates are there. Coopers met Farage countless times as he always goes to the party conferences and dinners. There's a picture of him with Farage on his facebook profile page so surprised that you didn't use it here. LOOL. I'm a member of CF and have Friends in Labour, and Liberal Democrats. My flat mate was in Occupy ffs. I'm not suddenly going to take a plane to St. Pauls and set up a tent. To say someone might defect b/c they may have friends in other parties, implies they have no mind of their own. Or are we not allowed to have friends outside CF? LOOOL. I'm in CF and have Friends in Labour and Liberal Democrats. My flat mate was in Occupy ffs. I'm not suddenly going to set up a tent outside St.Pauls! To say someone might defect, because they have friends in other parties, implies that have no mind of their own. Or are CF not allowed to have friends other than Tories? I don't think they are saying anything about friendship Tuma? They are saying they have uncovered a potential plot that Cooper could defect half way through his term and cause CF a lot of embarrassment. I have lots of friends in UKIP, but I am a Tory, a true blue. This worries me A LOT! nonsense. Coooper is perhaps the only one who can stop the defections, and maybe even bring some back on board. Reaching out to the disillusioned is a good strategy. Ignoring them only fuels defections. 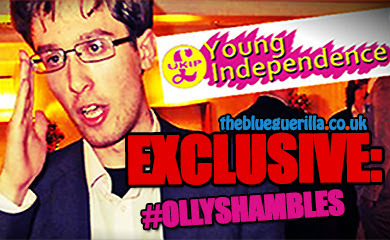 UKIP/Young Independence isn't big enough for him to defect, so they won't serve his ambitions well enough. If they should become big enough however, Mr Smartypants Oliver Cooper will probably defect to the party whose policies he has stated that he agrees with to a greater extent than the Conservatives. Yeah. Cooper may be able to attract the nutters back, Jacob Whitton perhaps? Robin Hunter Clarke. LOL. You forget about all those people who will leave if Cooper wins! If Cooper wins, I'm leaving. Thank you TBG. Utter senseless an uncorroborated smear. Holmes and Argle's posts at the start of these comments also pretty darn typical. 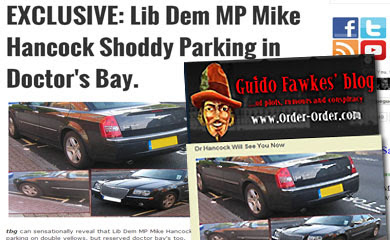 IF HE HAS A JOB WORKING FOR AN MP WHY WOULD HE DARE DEFECT?! 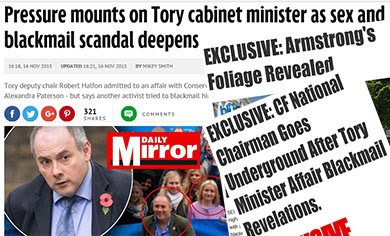 Love that fact that CF peeps are saying whats wrong with Cooper having friends in UKIP and Lib League. It would be fine if it was ANYONE else, but a man who wears a shiney trench coat, carries a sly and arroant smile and has a haircut like a cast member from Inglorious Basterds is worrying. why doesn't olly spend time campaigning for the conservatives instead of supporting his dodgy ukip mates.